It’s Time to Vote for the 2018 Barrow Peace Prize: Who Will Win? Our 2nd graders have been hard at work learning about 4 civil rights leaders and preparing a project that has become known as the Barrow Peace Prize. After learning about people who have won the Nobel Peace Prize, students brainstormed a list of character traits that are needed in order to win the Barrow Peace Prize. Students researched 1 of 4 civil rights leaders using a Google doc from Google Classroom, Pebble Go, Encyclopedia Britannica, Destiny Discover, and books. All research was done in the library. In art, students created a watercolor image of their civil rights leader. Barrow Peace Prize works of art are finishing up. In writing, students crafted a persuasive essay about why their civil rights leaders should win the Barrow Peace Prize (named after our school). Using Flipgrid, students recorded their essays and art. Now, the students are ready for you! They need you to visit their videos, listen to & like their work, and most importantly vote on which of the 4 civil rights leaders should win the 2018 Barrow Peace Prize. In late February, we will connect with Flipgrid via Skype and announce the winner. Voting ends on February 23, 2018 at 12PM EST! Our student book budget team has been hard at work making consideration lists based on the data they have collected from Barrow readers. Each year, we meet with several vendors to look at book samples, catalogs, and websites. During this time, students don’t worry about our budget. Instead, they capture every book that looks interesting to our readers and meets our purchasing goals. Goal setting was a bit different this year than in the past. Students typically pick 5-6 categories of books to focus on, but this year they really looked within types of books such as picture books, chapter books, and informational books. I thought this was an interesting development because in past years students have had a difficult time deciding whether or not they should buy chapter, picture, or informational books within the categories they decided. This year’s survey construction helped make this more clear. Within Picture books, students decided to focus on humor, sports, jokes, graphic novels, animals, and scary. Within Chapter books, students decided to focus on scary, humor, adventure, and mystery. Within Informational books, students decided to focus on fun facts, cooking, ghosts, animals, makerspace, and sports. Every year, we meet with our Capstone sales rep, Jim Boon. Jim brings in books divided into fiction and nonfiction and has catalogs for all students to look at. He shows them how to use the index in the catalog and how to find the rest of a series from the book samples he has on display. One of the things I love most about working with Jim is that he sits down with students and actively helps them look for books in the catalogs. He engages in conversation about interests and uses his wealth of knowledge of the products to match what students are asking for. While he does this, students come to me with catalogs and we scan the catalog bar codes into the Capstone site to make a consideration list. Amy Cox at Capstone also allowed each student to choose a personal pick from Capstone. These personal picks were not a part of our budget and also did not have to fit our purchasing goals. These were completely based on the interests of members of the student book budget team. Some years, we bring in our Gumdrop sales rep, Gret Hechenbleikner. We like working with Gumdrop because they can offer us some titles that aren’t available through Capstone. Gret also brings in many book samples for students to get their hands on. She sets them up on multiple tables arranged by the categories that students named. 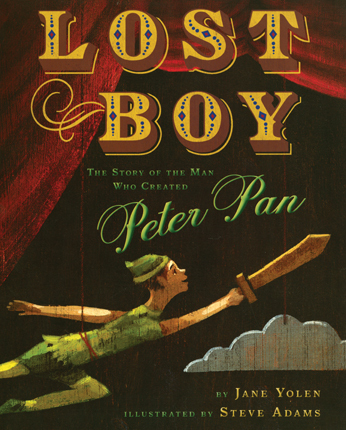 Gret pastes printed lists in the front cover of each book so that students can see the titles in the rest of the series or similar series. If students need to see the other covers of books or if they need to do a general search, I have the Gumdrop site pulled up on the projector. Gret sets up her computer and students take books to her to add to a consideration list. Before she leaves, Gret cleans up the list, prints a copy for us, and emails me a PDF. I love how much help Gret gives us in making the list while I have a chance to talk with students about the books on the tables and what they are thinking. Now that Avid Bookshop has a 2nd location within walking distance of our school, we take a field trip to the store. This year’s books budget team has about 40 students, so we split the trip over 2 days: 3rd grade on one day and 4th/5th on another day. Ahead of the visit, I once again shared the student purchasing goals. Hannah DeCamp and Kate Lorraine worked together to pull books from the Avid collection to book talk for students. We all sat on the floor and listened to several book talks from each of our categories. Then, students split up into the picture book, informational, and middle grades sections of the store to look for books. I wrote all of our books into a notebook which I typed up later. I love going to Avid because it gives students a connection to a part of our community. Several of our book budget members knew about Avid but had never been inside. Before we left, Kate gave each student an ARC (Advance Reading Copy) of a book to keep and consider for our library. Now that we’ve met with all vendors, it’s time to start narrowing down our lists. This process has already started. For Gumdrop, each student is taking a page of our list and crossing through books we may want to delete. For Avid, students are looking at the digital list and highlight books we may delete. For Capstone, we are looking at our digital list and deleting books from the list if they don’t fit our goals or if we chose too many books from one series. My hope was to have this done before winter break, but it looks like this process will continue into early January. I’m so proud of the work students have accomplished in this large group. It’s shaping up to be one of the best year’s so far. Third grade studies rocks and minerals in science. Ms. Hicks, 3rd grade Spectrum teacher, is always dreaming up ways to extend and enrich the study. We have collaborated together many times, and I always love leaping into something new. In the past, we’ve Skyped with a jewelry studio and designed our own jewelry. We’ve thought about climbing wall design and how the hardness of different rocks and minerals would support the design. Students even 3D printed prototypes of their climbing walls. This year we once again worked together to add a new layer to this science unit. I’ve been watching lots of people getting involved in kindness rock projects locally and globally. The idea of these projects is to spread words of inspiration in the world through randomly placed rocks and inspire people to create good in the world. I’ve found a few of these rocks myself and know that it gives you a bright moment in your day just to know that someone cared enough to create a piece of art intended for good. Gretchen Thomas, UGA instructor, and I have been brainstorming the idea of weaving this project into makerspace, but we held off this semester. I passed the idea on to Ms. Hicks and we decided to give it a trial run. We started by showing images of rocks and asking students if they had ever found a rock like these. I was surprised at how many stories were already in our small group of 15 kids. From a rock in a stream to a rock in the park, students had stories of words and images they had found on rocks. Then we watched this video to consider the meaning of a project like this. We also read an excerpt from If You Find a Rock by Peggy Christian and Everybody Needs a Rock by Byrd Baylor. These books helped us think beyond a rock just being a rock but instead a symbol of something else. At tables, students used an index card to plan out their rock. We wanted them to really take their time in planning so that they chose their words with purpose, so Ms. Hicks and I conferenced with students as they worked. They chose a word or phrase, wrote a short explanation of their choice, and sketched a design for their art. Students also selected a rock. All of this took one class session. In the next session, students used paint pens and paint to design their rock. Most started by getting the word(s) onto the rock and then worked on design. If they finished early, they helped one another fan portions of rocks to get them dry enough to keep painting on. My wonderful computer technician, Allie, added layers of Mod Podge onto the rocks before our 3rd session. Here’s where this project is taking a different turn that many of the kindness rock projects. We don’t really want to be random. We want the person who finds our rock to know a bit more about it. In our 3rd session, we used Flipgrid to record videos to tell the story of our rock. Students talked about the reason they chose their word and even why they designed it the way they did. We also brainstormed what someone would need to know in order to get to the video we recorded. I took this brainstormed and turned it into an information card to put with our rocks. Instead of randomly placing the rocks, we are putting them all in one container. We’ve talked with Avid Bookshop in Five Points and will be placing this container somewhere outside the shop. Our hope is that people will select a rock, take an information card, watch the accompanying video, and hopefully leave a response video to the student. It’s all a big experiment, and I’ve tried to be very open with students about that from the beginning. Anything could happen. We of course want every rock to be taken and for every person to leave a response, but we also know that might not happen. Whatever happens, we’ll know that our rocks have gone into the world and caused at least one person to pause for just a moment and think about kindness. Before our rocks go to Avid, we’re making a few more. If your’e in the area, keep your eyes open in Five Points for a clear acrylic container near Avid Bookshop sometime this week! The Great Eclipse 2017 is coming on Monday August 21, 2017. It’s going to be epic. It’s an event we are sharing all across North America. I made a space that we can all use to share our observations, learning, projects, stories, or really anything eclipse-related. 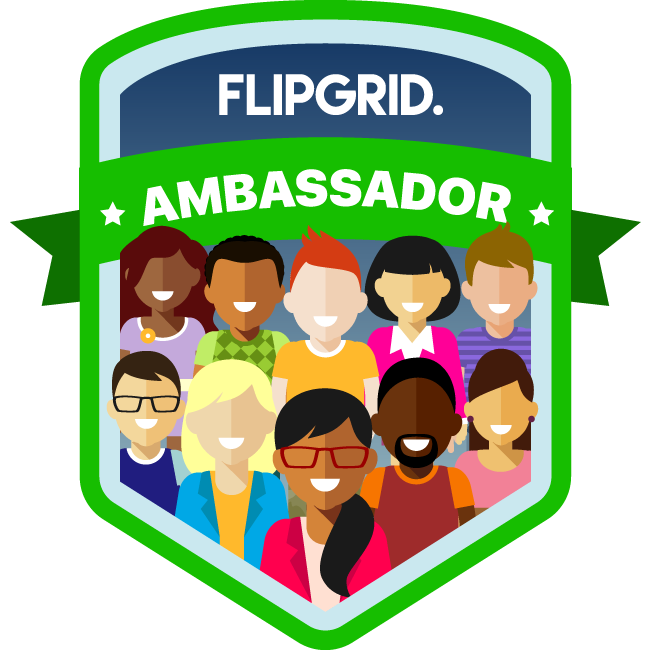 Before, during, and after eclipse, this Flipgrid is a space we can connect student, teacher, and family voices to share this event. Even if you aren’t in school yet, this Flipgrid can be a place you can find out what your students did while they weren’t in school. If you have the most updated version of Flipgrid on your mobile device or tablet, you can also just scan this QR code to instantly go to the topic. Scan here with Flipgrid to share your eclipse story. I also made a Google doc that you can print and give to classrooms to scan if they have devices available. 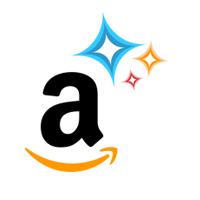 Once you are on the topic, simply touch the + and follow the prompts to record your voice and take a selfie. Don’t forget to tell us where you are recording from. I hope we can all learn from one another as we experience this unique event together. See you on the grid. Today, I have a guest post from a student who wants to share her writing with the world. This piece was created for the Young Georgia Author Competition. While it didn’t win at the district level, it deserves an audience. Jane is a 4th grader at our school and would love for you to read her writing and leave her some comments about her work. I hope to have more guest posts from students in the coming year. Scary things can happen in this world, maybe when you’re alive, maybe when you’re dead, or maybe when you’re between life or death. Cora Walkers was not an optimist nor a pessimist, she was a believer. A believer when there was doubt, or a believer when the worst was coming. In this town the amazing things could become bland with the blink of an eye. You need to master seeing the good things in the world, or else all that’s left is the bad. We go to a bright sunny summer day in San Francisco, California where the richness of the sun makes you feel quite refreshed. Cora was walking into Alamo square where the Painted Ladies Victorian houses sat. She walked up to the front porch of the last one on the left which had a big potted plant in the front. Cora walked up the white steps and turned to face the door. She opened her black messenger bag and pulled out a key, in which had a key chain with a deep C emblazoned in the brown leather. Cora placed the key in the lock and turned it gently, She slowly opened the door to hear the familiar creak of the hinges that needed to be oiled. When the door was fully open she pulled the key out of the rusty lock and waltzed into the main entrance of her house. The crystal chandelier welcomed Cora home as she strolled up the stairs. When she reached the second door to the right she opened the door and looked in at her bedroom. Her four poster bed was reflecting the light that was shining in from her bay window. Just as Cora was setting her bag down on her bed, she heard an ear splitting cry that made her jump. She opened her bedroom door and walked into the hall swiftly trying to find the root of where the noise was coming from. Cora slowly turned to the left and opened the door opposite to her. She swung open the door to see her baby sister Samantha in her crib wailing. Samantha was only 1 month old, and since Cora was the second to oldest it took her sometime to remember there was someone else in the house. Cora heard a creak coming from the door as someone walked into the nursery. “Is the baby crying again?” Ella asked in a plain voice. She rested her back against the doorway of the nursery. Ella was Cora’s younger sister and she didn’t like the thought of someone replacing her as the youngest in the family. “Ella, you’re 10. You should have gotten over the fact that there is someone else in the family now,” Cora said trying to sound reasonable. Cora could relate to how Ella felt even though Ella refused to think that. When Cora was 3 she also had to get over the fact that she wasn’t the baby in the family anymore. When Ella was just born and Cora’s older sister Rachel was acknowledging the fact that they now had a baby sister. Cora turned her back to the thought that she would be forgotten as the middle child . As Cora was placing down Samantha in her crib after she soothed she heard Ella groan and stomp out of the room. Cora rolled her eyes and walked out of the nursery. As Cora was on her way down to living room she suddenly heard her phone ringing. Cora came to halt and and pulled the phone from out of her pocket. Cora’s pink case shimmered as the sun hit the phone. She put the phone to her ear and before she could say “hi” a loud voice screamed 4 words into her ears making her ear drums ring. “SALE-AT-THE-MALL!” Cora jumped as she heard this. It was 1:00 p.m. on a Saturday and Mindy was already screaming in her ears. “Okay, I’ll be right there,” Cora said. “No worries my mom is picking up all of our friends, so she can give you a ride too,” Mindy said plainly as if she didn’t just scream through Cora’s phone. “Okay that sounds–”Cora couldn’t even finish her sentence as Mindy interrupted her. “Awesome! Bye see soon,” Mindy said quickly. Cora didn’t even have time to say good-bye because Mindy hung up. Cora turned and sprinted upstairs to get her bag when someone stopped her. “You can’t go to the mall,” Ella said in a sharp voice. “What do you mean? I can go to the mall if I want to go to mall,” Cora said looking Ella up and down. “First off, mom and dad aren’t home, and second all off, my friends are going to the mall but when I called mom she said I couldn’t go,” Ella said in a reasonable voice. “Well that’s because you’re only 10, and I’m 13,” Cora responded. “And plus, I’m just going to ask Rachel.” Cora could tell that Ella was getting frustrated. Ella groaned and flipped her long blonde braid as she trudged down stairs. Cora looked back at Ella then remembered that Mindy was picking her up in a matter of time. She ran up to the main hall where all four of their bedrooms were. She ran up to the third door on the left and knocked. Cora waited for over a minute then she heard footsteps coming, and then the doorknob turned. Cora was suddenly blinded by pinkness as Rachel opened the door to her bedroom. “What do you want?” Rachel asked in a bored voice. “I’m going to the mall so when mom and dad come home can you tell them?” Cora replied. “Fine but who’s picking you up?” Rachel asked, her eyes on Cora. “Mindy is. And she supposed to pick me up any second now so if you’ll excuse me,” Cora slowly turned then strolled away. Cora hung up the phone and ran to the door. She ran to the main entrance and pulled on her white high tops. She opened the door to feel the familiar air blow against her skin. She witnessed a metallic MDX waiting for her. As Cora ran to the car, the window rolled down. “Come on, get in Cora!” Emma screamed as she opened the door. Cora squeezed in and they made their way down the street. Now we go to Ella. Right after Cora left, Ella ran outside. She made sure to wait until Cora was gone or else she would suspect something. Ella’s friend Hannah was picking her up to go to the mall, but Ella knew that wouldn’t be possible if Cora was in the house. Ella was a smart and reasonable girl, but she was tired of living in her sister’s shadow and now that she had a younger sister everything revolved around Rachel, Cora, and the baby. Hannah said that she would meet her at Alamo Square park which was simple for Ella. All she had to do was cross 2 crosswalks and then she would be at the park. As Ella pressed the button to the crosswalk she pulled out her phone. She dialed Hannah’s number and waited for her pick up. “Hey Ella, me and my mom are almost there,” Hannah said. “Awesome, I’m crossing the street right now,” Ella replied as with a grin spread across her face. Ella was entering the second crosswalk. The sign had the white walking man on it so Ella took the chance to go. Without warning the light flashed, and changed to a red hand. Something seemed to be wrong with the lights up top that told the cars to go because that flickered and turned green. Ella had no time to notice this as a speeding black Chevrolet was coming her way. Ella on the other hand was just saying good-bye to Hannah. The person in the car must have not noticed Ella either as the car got closer. There was no time for Ella to hang up the phone because in the second that seemed like a moment, and the moment that seemed like a minute, Ella noticed. And before she knew it… everything went black. The car pulled up in the driveway and Cora emerged. She didn’t buy anything, but being with her friends cheered her up. There was no time to say thank you as the MDX pulled out of the driveway and drove out of sight. Cora smiled and was heading for her house when she looked over and saw firetrucks, police cars, and at least 3 ambulances. Cora was getting curious so she started for the overwhelmed crowd that was surrounding the street. Cora elbowed her way through the crowd, then she got a glimpse of a girl being loaded into an ambulance. She was wearing the same white jean shorts and pink tank top as Ella was wearing that day. The girl had an air mask on her face and a messily wrapped bandage around both of her legs that Cora could tell, blood was already seeping through. Cora was getting closer until she felt something pull her back. She looked up and saw Rachel, with her mascara smeared under her eyes. To Cora it looked as though she was crying. “Rachel, what happened?” Cora asked cautiously as an expression of fear crossed her face. “It’s Ella, she’s been hit by a car,” Rachel said sounding as though she was about to cry again. Cora looked at her with disbelief. The color drained from her face. Cora wanted to know how this happened. Ella was a smart girl and now she might be gone and no last words would ever be said except denial and hatred expressions. The only memory Cora had of the last words she had said to Ella was when she rudely said that she was going to the mall . Cora felt as though the darkness that she never thought would come emerged from her soul erupted. For the first time in years you could say, that Cora was walking in the dark. There’s a lot going on in the world right now and it’s easy to get overwhelmed by the many current issues being debated and decided on in our country and around the world. 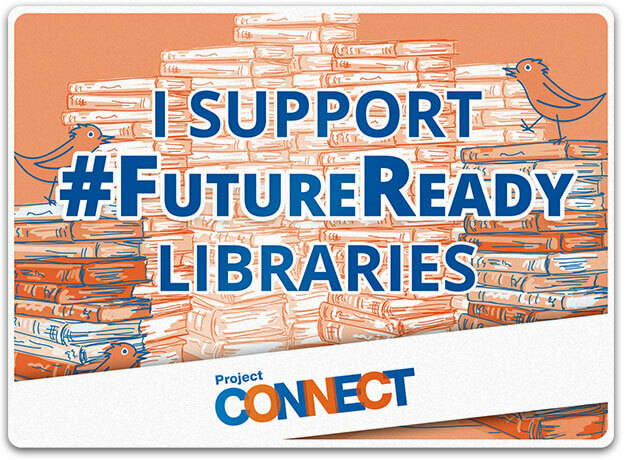 As a teacher librarian, it’s challenging because I want to support all students and families knowing that I might not personally agree with their perspectives. I make sure that I step back and listen to the students, support their research and perspectives, and check my own beliefs. Recently, Ms. Olin, 5th grade social studies teacher, came to me with an idea. She wanted to get students thinking about current US & World issues and considering what their own perspectives were based on the facts of the issues. She also wanted them to know that their voices mattered in the world and that they could get their thoughts out to local, state, and national representatives as well as the general public to have an influence on decisions being made. Ms. Olin started this project in her classroom by sharing the book I Have a Right to Be a Child by Alain Serres. This sparked discussion about basic human rights and current issues in the world. She also shared news sites with them so that they could start reading current articles about various trending topics, especially if they weren’t familiar with the current topics being debated. Through these sites, students began to choose a topic that they were interested in, curious about, or passionate for. 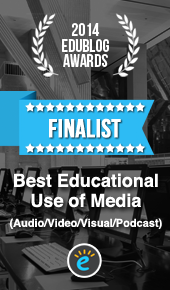 Sites included Newsela, CNN Student News, PBS News Hour, and Time for Kids. After two days of exploring, students selected their topic. 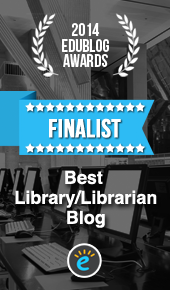 In the library, we focused on the importance of raising our voices when we have concerns. I read excerpts from Be A Changemaker by Laurie Ann Thompson. 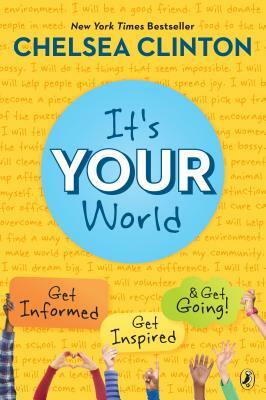 I also read excerpts from It’s Your World by Chelsea Clinton. “We can–and should–respectfully disagree with others who have reached different answers from ours” and “Even if we disagree with one another, it’s important to recognize what the facts are”. Ms. Olin and I both encouraged students to look at issues from all sides and to gather as many facts as possible. With those facts, they could form their own opinions on the issues and brainstorm some possible actions they hope are taken. We took some time to look at the Letters to the Next President project to see letters that were written by students from many location about a variety of topics. Students could sort the letters by their own topic and see what other students were saying. As students looked at example opinions and continued to gather facts, they started filling out organizers to get their own thoughts together. In class, they began writing letters, protest signs, and editorial cartoons to express the facts and their own views. Finally, students came to the library to begin sharing their voice. We spent some time talking about how we can make our voice visible. We could of course mail the letters and artwork to their intended recipients, but how else could we share our voice? 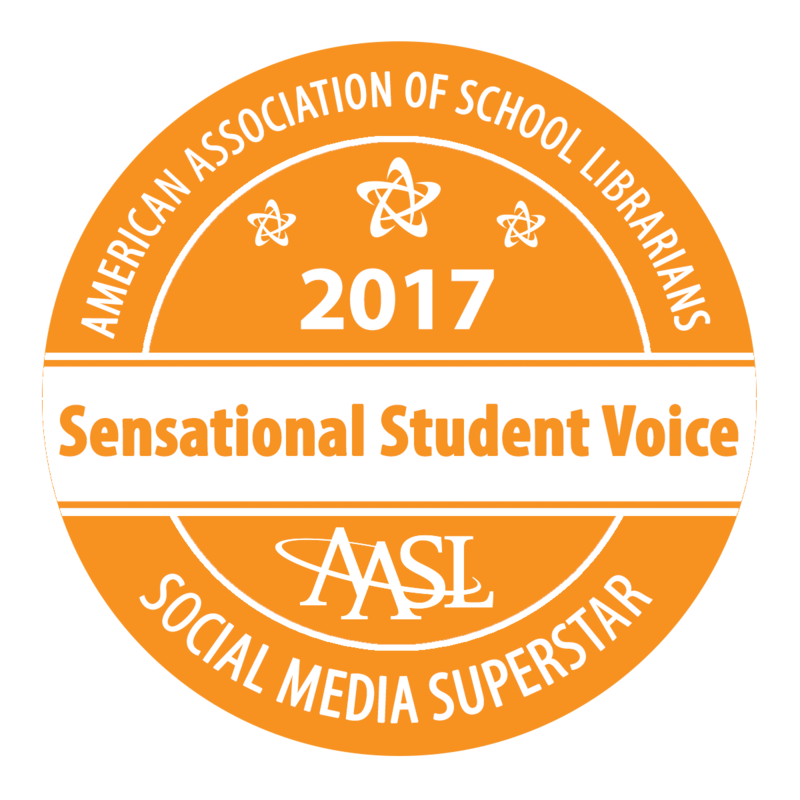 I was able to talk to the students about my recent recognition as an AASL Social Media Superstar for Sensational Student Voice and how social media and collaborative tools like Flipgrid allow us to spread our voices to an even larger audience. We hope our voices are heard by our local, state, and national representatives, but even if they aren’t, we can share our voices with others and offer perspectives and actions that might encourage them to support our cause or make the world a better place. As students finished their work, they recorded their voices in a Flipgrid so that others can consider their perspectives and possibly join their collective voice. We hope you will take time to listen to each student. If one of the voices speaks to you, give them a response. Better yet, if they inspire you, consider writing your own letter and adding your voice to our grid. We invite your students to join our voices as well. As we were closing our time in the library, some of the students spoke up and said, “I bet Mr. Trump won’t even read our letters.” This was a great opportunity for Ms Olin and I to repeatedly say to the students, “Your voice matters”. We talked about collective voice, and how sometimes a single voice isn’t heard by someone like the president. However, that single voice can inspire other voices who come together collectively around a common cause. This was a great closing because even as an adult I sometimes wonder why I should even take time to call or write my representatives. However, I was reminded that our individual voices do matter and collectively they make impact.